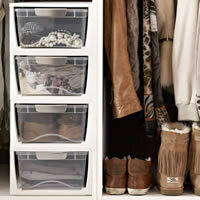 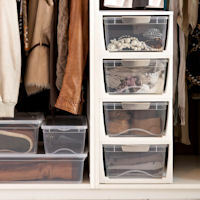 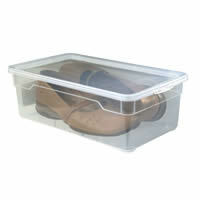 Thanks to the power of happy customer's feedback we're pleased to introduce a new ridged plastic storage box to our range of transparent, stacking shoe storage boxes. 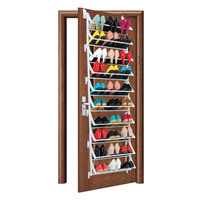 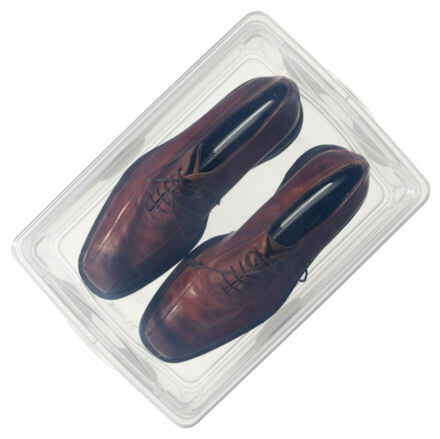 For a while now, we've been researching the idea of introducing a matching men's shoe storage box but have never really found anything to match the superior quality of our Swiss-made woman's clear shoe boxes. 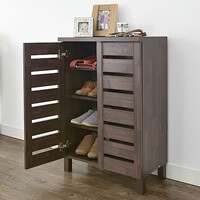 Resolved to find a suitable (storage) solution we gave-up and decided to commission our own. 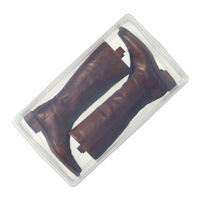 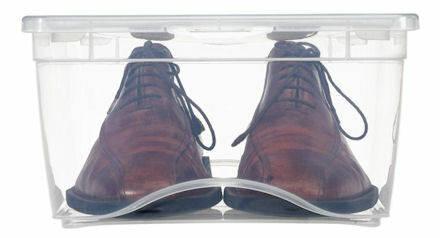 Made from a robust transparent plastic to give easy visibility and identification of the contents when rummaging around in the bottom of the wardrobe, our lidded men's stackable shoe boxes are just that little bit bigger than the ladies clear shoe boxes, making them ideal for gents shoes up to a size 13. 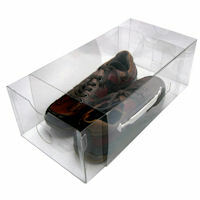 We've also made these neat clear shoe boxes for men just that little bit taller than our ladies shoe storage boxes making them ideal for ankle length men's boots such as Chelsea boots etc.